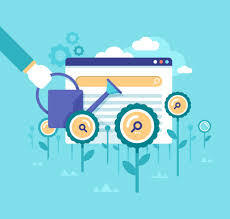 Search Engine Optimization is more in demand than ever, with so many digital businesses being run in the 21st century. Here are some ways that you can grow it organically to grow a steady customer base. Studies show that websites with blogs rank the highest on Google, Yahoo and Bing. Your business can showcase your knowledge, help out potential customers, and link them to your contact page to attract new clients. Blogging on your website is like giving out business cards to a global audience. You should be sure to integrate the aforementioned high-quality content into your blogs for best results. Facebook, Instagram, Google+, Twitter, Pinterest, Digg, Stumbleupon and Reddit are just some of the countless social media options. In today’s society, where adults and teenagers alike are so eager for new content, social media presents a way to organically grow your business client base.